(Mediaite) Republican presidential candidate Mitt Romney’s “gaffe” in Great Britain on Thursday, in which he called into question London’s security preparations ahead of the Olympics, has been greeted with a mix of scorn and glee in both the British and American press. Hours after the Telegraph reported that a rogue Romney advisor said that his presidency would usher in a return to America’s traditional respect for the United States’ “Anglo-Saxon heritage,” a phrase which has been willfully misconstrued to mean the Romney camp’s support for racially discriminatory and white supremacist policies, Romney stepped in it yet again. 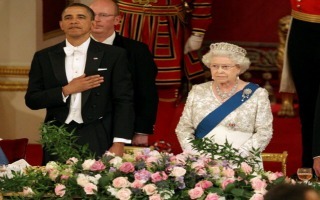 Now the British press is having some fun with Romney’s slap at London’s Olympic preparedness, but the Forth Estate in England has been far from neutral towards President Barack Obama’s numerous anti-British gaffes. Indeed, they have been rather forgiving. In light of this most recent misstep by Romney, it’s worth a look back at how the British press treated some of the President’s famous misstatements.